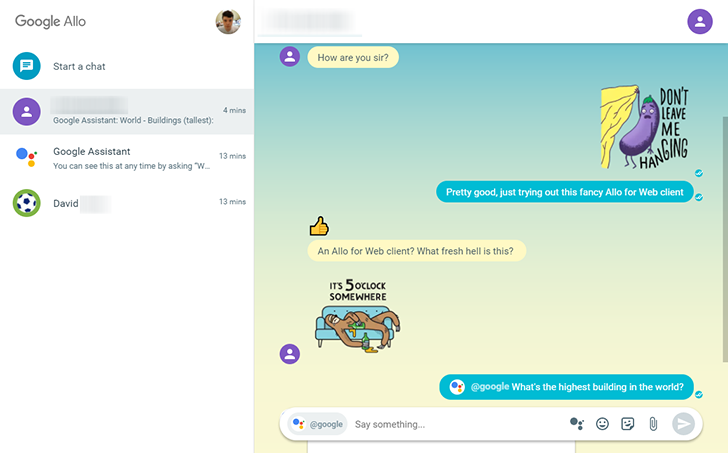 At some point, Allo for web will be completely independent of a phone, possibly paving the way for the service to work on tablets and other devices. Like Hangouts did... and Google Talk. As Number Six would say, "All of this has happened before, and it will all happen again."